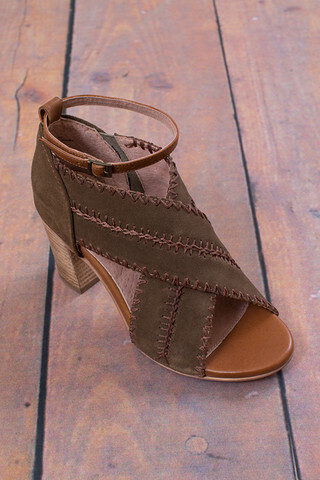 The Sightseeing heel made by Seychelles features a frilled topline that adds a fun, feminine look to a playful mocha suede mules. 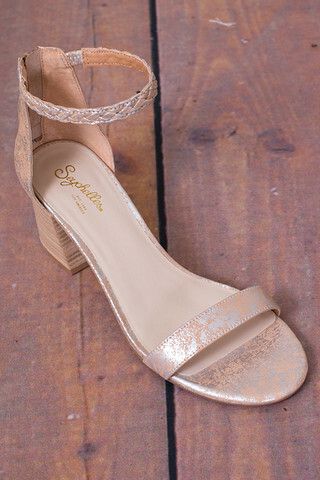 There is an adjustable slingback strap with a gold buckle closure and lifted by a block heel. 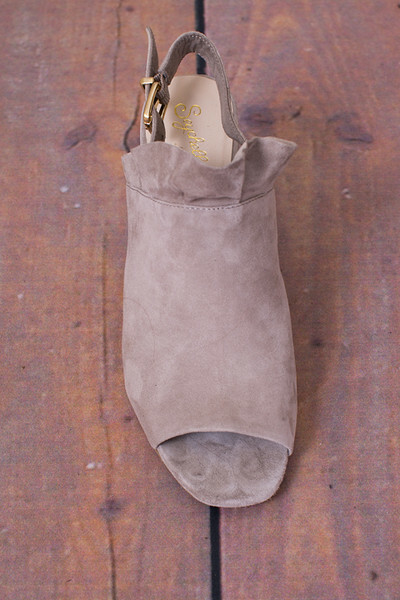 Comfort is also part of this heel with a cushioned insole with arch support. 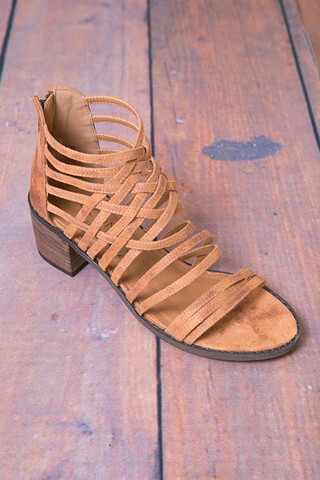 Leather upper with synthetic lining and sole.